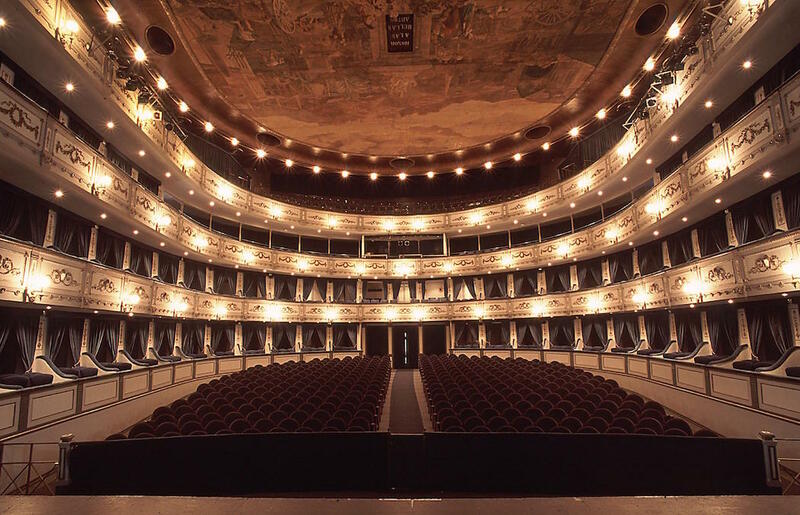 In 1984, the City acquires ownership of the Teatro Cervantes and funds for reconstruction works with the help of grants from the Ministry of Public Works and Urban Development, the Ministry of Culture and the Ministry of Public Works and Transport of the Junta de Andalucía. The new theater, with a final capacity of 1,171 seats distributed among palcos- seats and is equipped with materials, devices and instruments required by the technical regulations for a public facility of its kind. Her Majesty Queen Sofia attends the inauguration on April 6, 1987, in a concert of the Symphony Orchestra of Malaga City offers. 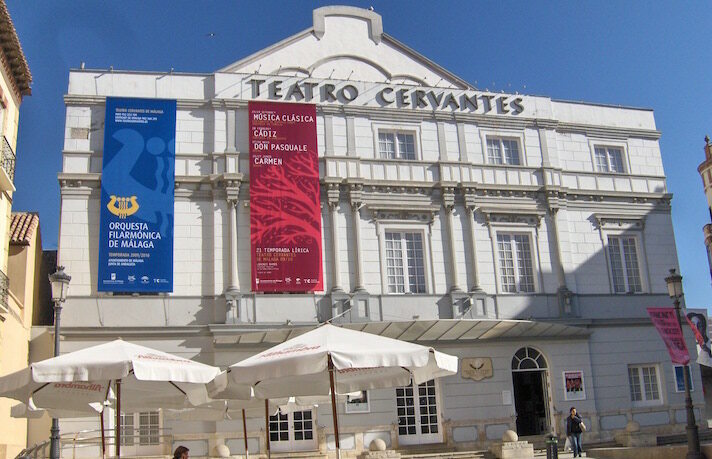 On April 6, 2012 marked the 25th anniversary of the reopening of the Teatro Cervantes and municipal stage area. A quarter century of symphonies, classical dramas, comedies, operas, ballets, concerts of jazz, flamenco, rock, musicals and galas of all kinds. To celebrate this special anniversary, Cervantes proposed a program of events among which the concert performance of Franz Lehar's operetta The Merry Widow and a free concert marches, waltzes duets and Austro-Hungarian composer played by the Symphony Orchestra Provincial Malaga and Malaga Opera Chorus. An exhibition of the 50 programs and pictures dedicated artists who performed at the Cervantes during that decade, one that brought the most significant of his stage activity in these twenty years under the title "25 years giving the show" a book Memorial and other activities complemented the event.